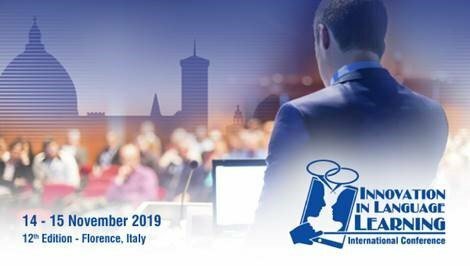 The 12th edition of the International Conference Innovation in Language Learning promotes transnational cooperation and sharing of good practice in the field of language teaching and learning. The event also is an excellent opportunity for the presentation of previous and current language learning projects and initiatives. The Call for Papers is addressed to teachers, researchers and experts in the field of language learning as well as to coordinators of national and international projects focusing on language teaching and learning. Experts in the field are therefore invited to submit an abstract of a paper to be presented in the conference. All accepted papers will be included in the Conference Proceedings published by Filodiritto Editore with ISBN, ISSN and DOI codes. This publication will be sent to be reviewed for inclusion in Conference Proceedings Citation Index by Thomson Reuters (ISI-Clarivate). The publication will also be included in Academia.edu and indexed in Google Scholar.